Artists in old Japan highlight the power and influence of China. At the same time, the uniqueness of Japanese culture also shines through because of specific elements that existed and influenced artists. 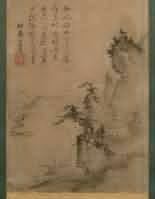 In modern Japan the richness of Tensho Shubun is rightly acknowledged – the same applies to international lovers of art. Therefore, the importance of Tensho Shubun remains within Japanese high culture. 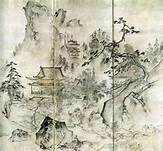 During the lifetime of Tensho Shubun, he maintained the rich bridge that linked China and Japan. If only modern day political leaders focused on this long golden period between The Middle Kingdom and The Land of the Rising Sun. At the same time, this adorable artist also helped to bridge the generation differences in relation to up and coming artists. Internationally Kyoto is deemed to be the place where Japanese high culture reached new heights. However, this isn’t correct, the real flourishing of high culture is based on the rich cultural legacy of Nara. Of course, other amazing places exist including Kamakura, Koyasan, and Nikko. Yet Nara is the real cradle in the land of the rising sun. Likewise, often it is perceived that China and Japan have a legacy of animosity but this couldn’t be further from the truth. After all, prior to Western colonial encroachment that inspired the Meiji Restoration of 1868, then China and Japan had nothing to fear from either country. Indeed, even when Japan closed itself from most of the world during the Edo period, it is still abundantly clear that the rich legacy of Chinese culture remained powerful even if hindered by overwhelming international isolation. Indeed, the famous Sesshu Toyo was a very fortunate individual because he studied for a set period under Tensho Shubun. 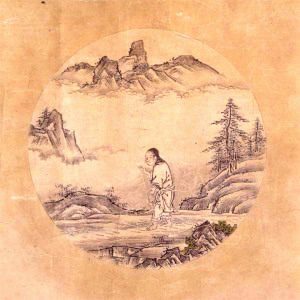 One can only wonder how much the teaching of Tensho Shubun played in formulating ideas, knowledge, and wisdom, within the heart of Sesshu Toyo. Also, the bridge linking both artists is further evidence that Tensho Shubun was a pivotal individual in this period and he maintained to be after his death. This is based on the richness of his art and the ideas he formulated in relation to China. 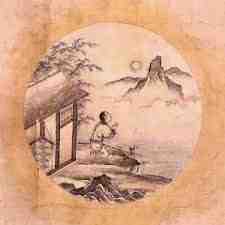 The richness of Confucianism and Daoism from The Middle Kingdom inspired Japanese high culture greatly. Similarly, Buddhism enabled a brotherly bond between China, Japan, and Korea. This brotherly bond filtered through and inspired artists in Japan and the same applies to culture, literature, thinking and so forth. At the same time, the richness of Japanese culture in relation to Zen Buddhism and various other sects – along with the indigenous Shinto faith – highlights the flourishing reality of a powerful culture within the psyche of Japan based on a multitude of different concepts. Not surprisingly, all these traits influenced the corridors of power in Japan to various degrees. 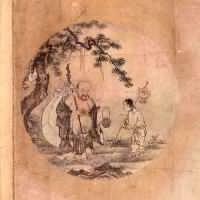 Tensho Shubun understood the richness of The Middle Kingdom that inspired many areas of culture within The Land of the Rising Sun. Naturally, he fused this knowledge with the adorable splendor of indigenous culture in relation to Shintoism and various indigenous Buddhist sects, that emerged once this faith reached Japan. Therefore, Tensho Shubun understood the power of both worlds while at the same time influencing the next generation to come. Some art and cultural articles by Modern Tokyo Times are republished based on our growing international readership and the need to highlight the unique reality of Japan.